I really like this list as a guideline for folks considering security for their cloud solutions. Here’s consideration #1, pictured to the right. It’s part of the Microsoft Secure blog, a blog dedicated to Microsoft’s point of view on security, privacy, reliability, and trust. It’s the place to go for in-depth articles on Microsoft products and services, as well as tips and recommendations for improving security in your organization. 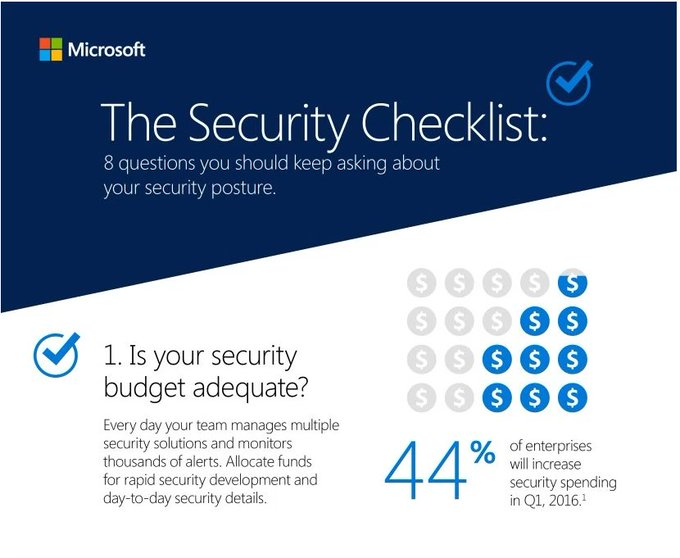 Here is a larger list of 8 questions to think about for adaptive cloud security. Step 1: Check your budget.